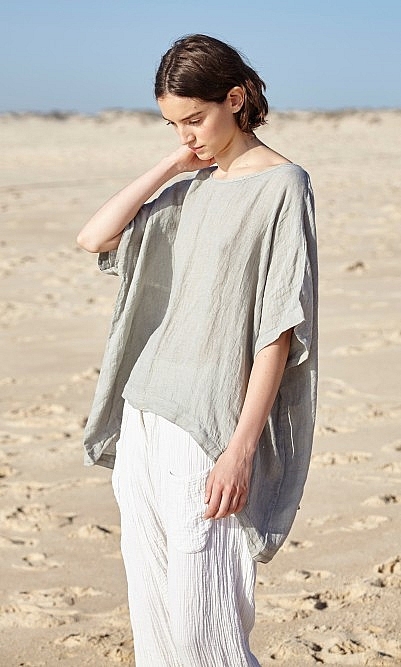 Weighty crisp white linen tee with slightly crinkled texture in a great loose fit with flattering hemline. 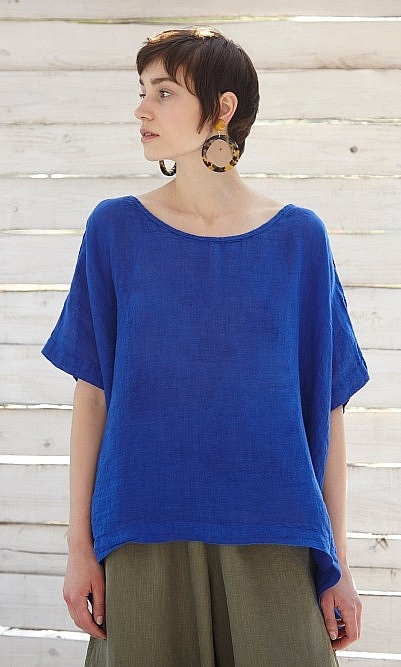 Cut wide and boxy with slash neck and cropped sleeves. L70cm.